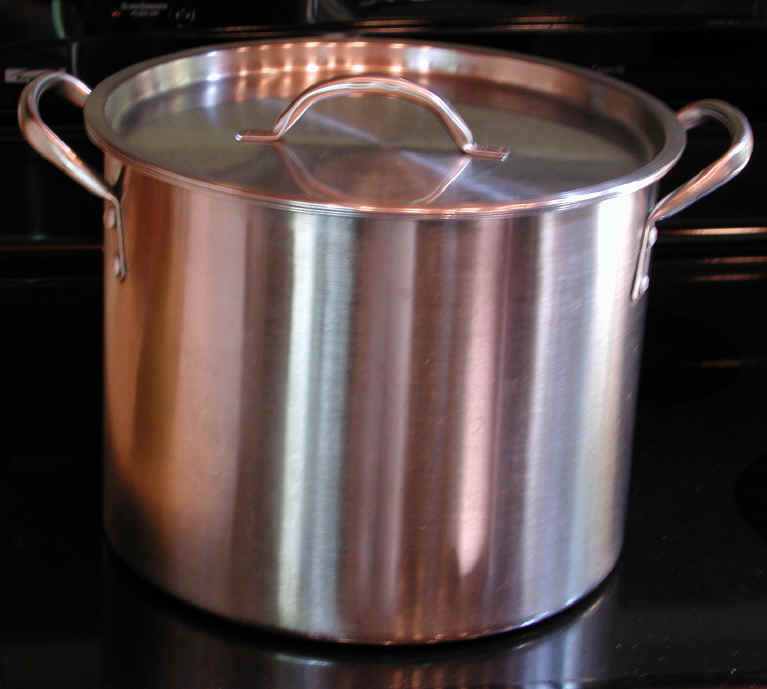 (Pot, Large Stainless Steel) We have two large stainless steel pots in our kitchen, which we primarily use for cooking various kinds vegetable soups on the stovetop (thick soups are best cooked in a slow cooker). The larger of the pots is slightly over 3-1/2 gallons, and the other is slightly smaller. We purchased them is a discount department store many years ago, and they are still as good as new. 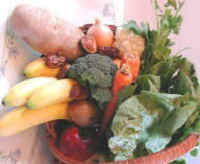 We like to cook a large pot of soup and save the remainder for the following day or two, and we usually store the left over soup in the covered pot in our refrigerator after the soup has cooled to room temperature.